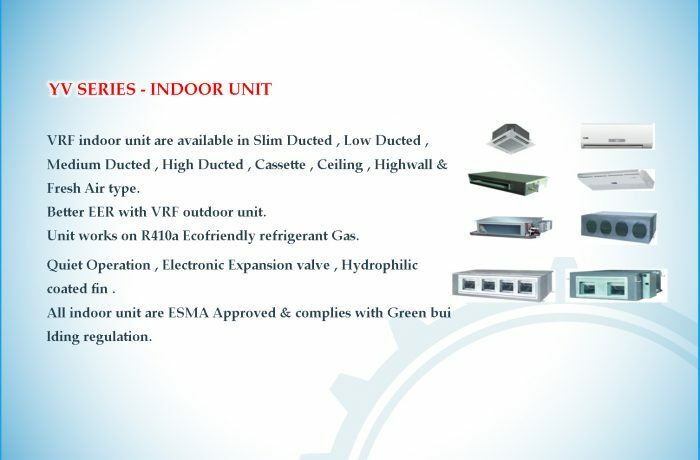 VRF indoor unit are available in Slim Ducted , Low Ducted , Medium Ducted , High Ducted , Cassette , Ceiling , Highwall & Fresh Air type. Better EER with VRF outdoor unit. Quiet Operation , Electronic Expansion valve , Hydrophilic coated fin . All indoor unit are ESMA Approved & complies with Green building regulation.